Lehenga is a long skirt with embroidery and pleats, worn with long or short top and a dupatta. Usually, it is worn during special occasions like wedding and festivals. Materials like silk cotton, chiffon, and silk are commonly used to make it. Embroidery, polka and stone work are used to magnify the beauty of lehenga. 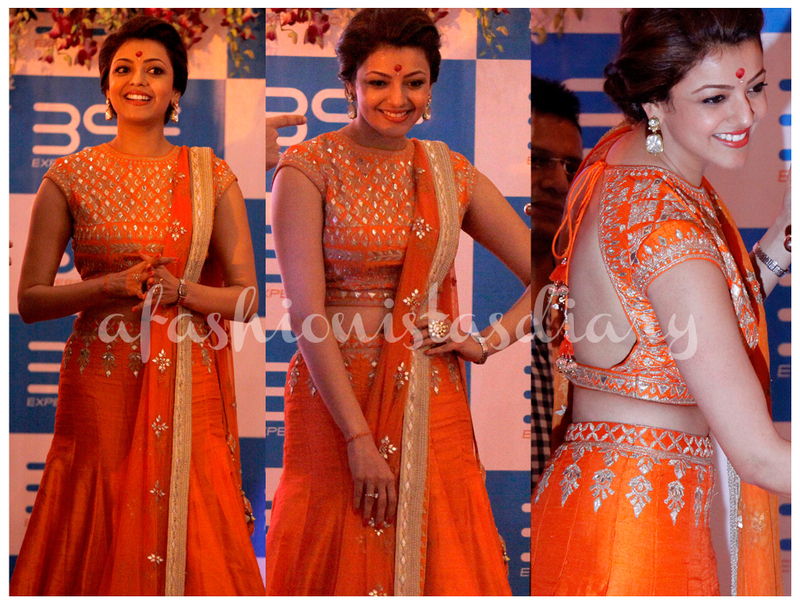 Lehenga is hot cake in the fashion industry now; you can see a lot of celebrity sporting it and one such person is Kajal Agarwal. 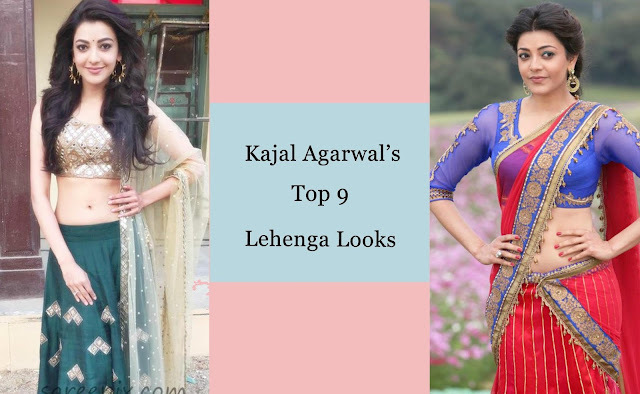 She has been spotted wearing lehenga on many occasions and here is a list of " Top 10 Lehengas Worn By Kajal Agarwal." 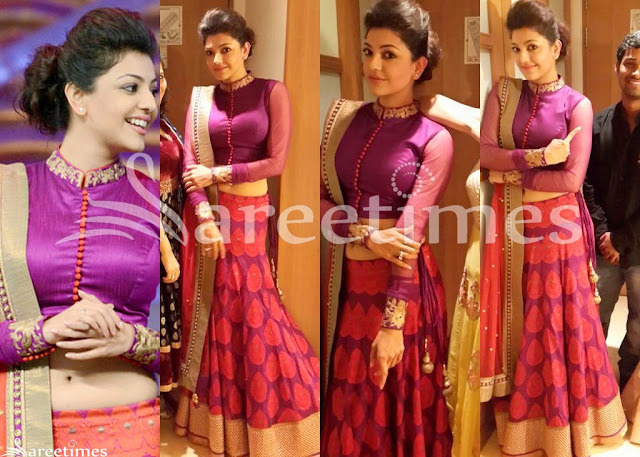 Kajal in purple butti design skirt with gold border paired with short top with long sleeve and chiffon dupatta.